The four-poster bed is a relic of the 13th century that found itself out of favour as ceilings dropped, along with housing’s square footage. 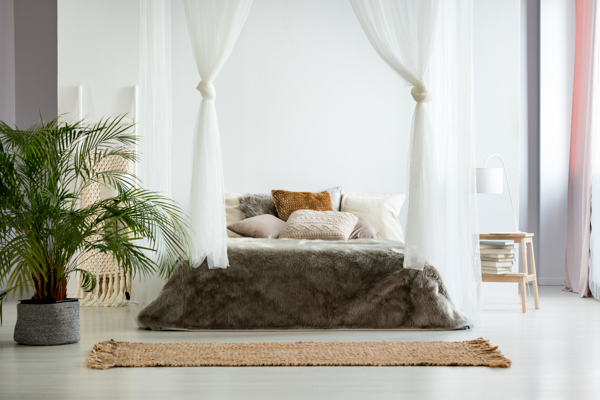 However, as we increasingly seek spaces that bring a sense of comfort and safety, it seems the four-poster bed is making a contemporary comeback. Today’s iteration errs on the side of simplicity compared to its luxurious forebears, with modern heating rendering the traditional addition of drapery pointless, with the bedframe, canopy and all, often left exposed, or just sheer curtains draping down.